One of the most important guitarist in the post-Django period, one of the treasurers of Django Reinhardt's musical legacy, is Fapy Lafertin. 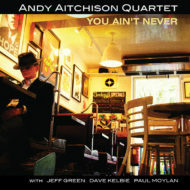 During the 1990s he recorded two album with the young British band Le Jazz. 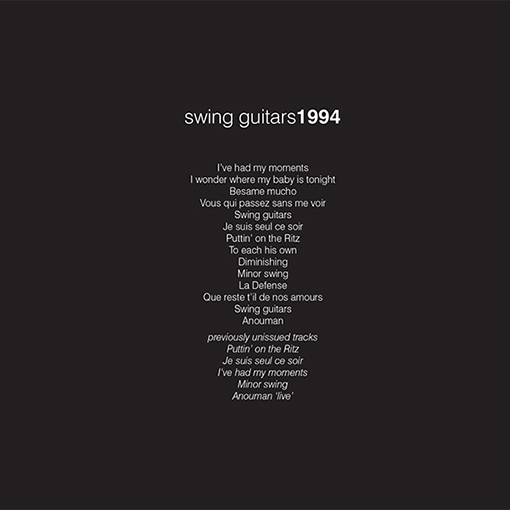 These two albums: Swing Guitars and Hungaria are now reissued. Fapy Lafertin was born in Courtaie (Belgium) 1950. He raised in the gypsy community and was cut out to become a musician. 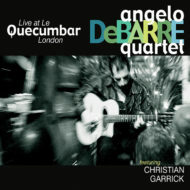 He played in the hot club style of Django Reinhardt. 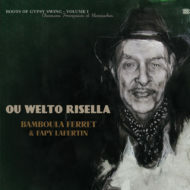 The story goes that the gypsy band of Bamboula Ferret performed one day in 1965 in Sint Martens Latem at the café of Emiel De Cauter, De Klokkeput. Meanwhile Waso had developed into one of the most leading hot club-style bands of the post-Django era. 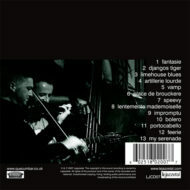 In 1987 the Concorde Club in Eastleigh (near Southampton) had invited to play the new rather unknown group Quartet Le Jazz, featuring Steve Elsworth on violin, Dave Kelbie and Pete Finchat on the guitar and Tony Bevir on double bass, with special guest, the Dutch guitarist of Waso, Fapy Lafertin. 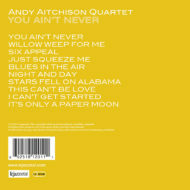 The band was founded in 1986 by Pete Finch and Steve Elsworth, extended by Tony Bevir and Dave Kelbie into a quartet. The cooperation with Fapy Lafertin became a success and they played together for a decade, all over Europe. 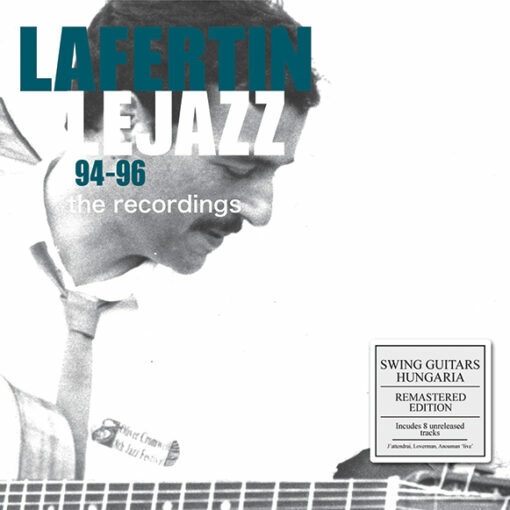 They were recorded on two albums as Fapy Lafertin & Le Jazz: Swing Guitars (rec. ca 1994) and Hungaria (August 1996). Both albums have been reissued now on a 2cd entitled Lafertin Le Jazz 94-96 – The Recordings. 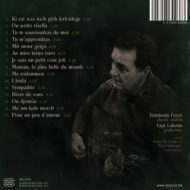 The new 2cd album has more then 35 tracks, including some previously unreleased ones ……… Most tunes are standards of the Hot Club du France repertoire, like Swing Guitars, Minor Swing, Que reste t'll de nos amours, Billet Doux, Songe d'Automne, which was recorded by Django Reinhardt in May 1947 and the title track of the second album Hungaria, a 1939 Django composition. 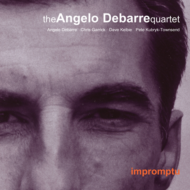 The second album Hungaria features Bob Wilber as guest player on the clarinet. Bob was a pupil of Sidney Bechet and played two times with Django, like during a private concert in New York City, on New Years Eve 1947. Django was invited to play on a tour by Duke Ellington. 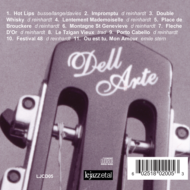 Bob can be heard on three tracks: Songe D'Automne, Swing 42 and Stockholm. 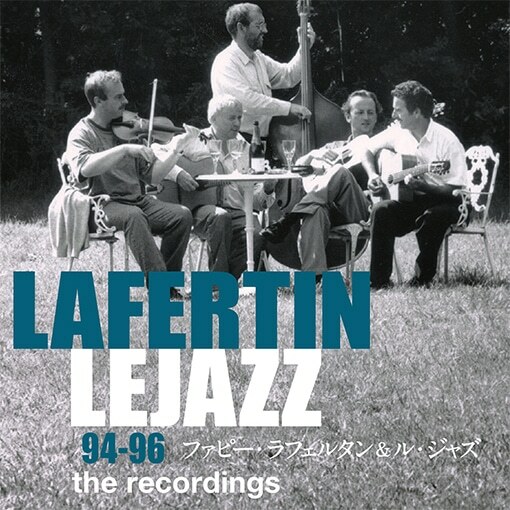 This reissue of two, now hard to find Fapy Lafertin albums, Swing Guitars (1994) and Hungaria (1996), with Le Jazz, has been released in a well designed and informative digipack by Lejazzetal, where it can be ordered. It will be welcomed by its fans and hopefully will introduce Fapy's music to a new, younger generation of guitar players. I heard Fapy playing with Coen de Cauter and his men a few years ago at a concert in Dongen (The Netherlands) the 19th of November, 2010, in a concert dedicated to the fact that Django would have celebrated his 100th birthday, if he hadn't had left town in 1953! Fapy Lafertin – a great aspirator for all those guitarists and music fans, who keep Django Reinhardts musical heritage alive.